I thought I'd share my process for Carrie's quilt. I spent some time on Excel at the computer before I started cutting. I decided that I'd work with 4" squares, so the finished squares will be 3.5 inches and I shaded in the colors; the tan will be the white background prints. The column on the right indicates how many HSTs, I'll need altogether. Then I determined how many of each color combo I needed. 30+36+30=96. Next, I figured out how many squares of each color were needed. 114+102+102=318. 96+318=414 total spaces; so my math is correct. I'm using this method for making my HSTs, I'll have some extras to fool around with. Click on chart to go to blog post. I'm also planning to cut a few extra of each color, just in case. 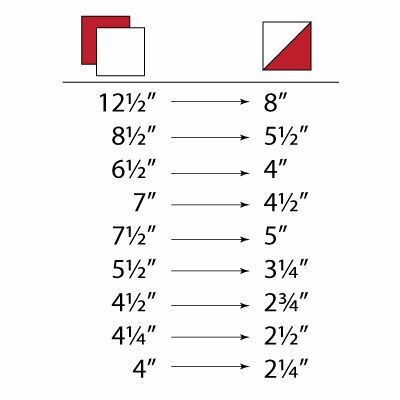 I am glad there is someone else out there using excel to calculate quilting stuff. Love your quilts.